10. Fruitvale Station – Based on the true story of Oscar Grant, an innocent young man who was murdered by a police officer in 2009, Fruitvale Station is one of the year’s most emotionally affecting dramas. The film, which follows Grant on the last full day of his life, doesn’t portray him as perfect. Instead, director Ryan Coogler realistically showcases Grant for who he really was: a young man who was struggling to live a better life. He was a man who had served jail time and continued selling drugs to take care of his infant daughter. But this is what gives the film its beauty. Grant wasn’t perfect, but he didn’t deserve what happened to him. Every life is sacred and this is the true message at the heart of Fruitvale Station. Anchored by a star making turn from Michael B. Jordan, this isn’t an easy film to watch, but it is a film that everybody needs to experience. 9. Her – In a career spanning fourteen years, Spike Jonze has only directed four feature films, but his unique vision and directorial style makes each of these films well worth the long wait. His latest effort, Her, is a sweet and emotional love story about a man who falls in love with his computer. Set in the not too distant future, the film comments on our obsession with technology and realistically predicts what our society will be like in the decades to come. Thanks to Jonze’s clever writing and careful direction, a love story that may seem outlandish on paper feels grounded and real. 8. Nebraska – As people grow older, it’s inevitable that their minds and memories will slowly begin to fade away. In Nebraska, the latest film from director Alexander Payne, this happens to Woody Grant, an elderly man who thinks that he has won $1 million in a sweepstakes. His son knows that the sweepstakes is a scam, but he decides to drive him to Nebraska to collect his prize because this could very well be one of the last father/son bonding moments that the two will share together before Woody’s mind is completely gone. It’s a simple story, but in this simplicity Payne is able to explore topics of family, aging and even the inevitability of death. Featuring a fantastic performance from Bruce Dern as Woody Grant, Nebraska is the best film about small town family life to come out in years. 7. Inside Llewyn Davis – The latest film from The Coen Brothers is an intimate character study of an out of luck folk singer, living in New York City in 1961. Oscar Issac is great as Davis and he truly translates the pain and desperation that his character is feeling. There are a number of fantastic folk songs on display in the film and when Davis sings, you can feel the emotion that is going into his performance. Inside Llewyn Davis is a very sad film and it doesn’t offer any happy endings. Instead, we get to watch one man struggle, and ultimately fail, to achieve his dreams. It’s far from feel good cinema, but it’s beautifully shot, wonderfully acted and surprisingly poignant. 6. Prisoners – A film that holds you in an icy grip for the entire two and a half hour runtime, Prisoners is the year’s best thriller. The story of two missing daughters and one man’s obsession to find them, this is a film that crackles with a sense of dread that is sustained from the opening frame to the closing credits. Director Denis Villeneuve makes use of great editing and a smart script from Aaron Guzikowski to keep the audience on their toes. The cinematography from Roger Deakins brilliantly captures the grim mood that prevails throughout the film and the entire ensemble cast brings their A-game, with Hugh Jackman and Jake Gyllenhaal giving particularly powerful performances. A thematically rich commentary on obsession, desperation and the human capacity for violence, Prisoners is exactly what an adult oriented thriller should be: smart, brutal, suspenseful and so intense that you’ll be gasping for air. 5. Before Midnight – In 1995, two young travelers named Jesse and Celine met on a train and spent the night walking around Vienna together in the incredible romance, Before Sunrise. Nine years later, Jesse and Celine reunited for the first time since that night in Before Sunset, a sequel that was just as wonderfully romantic as the original film, if not more so. Now, director Richard Linklater has given us the (probable) conclusion to his Before trilogy, Before Midnight. Set another nine years after its predecessor, Jesse and Celine are now together and share two young daughters. The entire film takes place on one day while Jesse and Celine are on holiday in Greece and we watch them analyze what their relationship used to be and where their relationship will be going in the future. Their relationship is far from perfect and there is a constant sense that it may not survive much longer. The conclusion of the film doesn’t give us any definitive answers about what will happen to them in the future, but it still manages to end on a hopeful note. All relationships have problems, but it is rare for two people to share a true connection with each other and this is what makes Jesse and Celine’s relationship worth fighting for. Perhaps Linklater and stars Ethan Hawke and Julie Delpy will revisit these characters in another nine years, but if they don’t, then I can say that Before Midnight is the incredible conclusion to one of the greatest love stories ever told. 4. The Wolf of Wall Street – With its copious amounts of drug use, three hour runtime and explicit sexual content, The Wolf of Wall Street may be too much for some viewers to handle. In fact, some critics have argued that the film is a failure because it revels in this intense debauchery, but these critics are missing the point. The film never glorifies what is appearing on screen, but takes us on a journey as we watch our protagonist, Jordan Belfort, slowly lose all of his humanity to corporate greed. Belfort is played brilliantly by Leonardo DiCaprio and, in a supporting role, Jonah Hill cements his status as a serious actor in Hollywood. Equal parts satire and black comedy, the film will have audiences laughing and marveling at everything they are witnessing on screen. Director Martin Scorsese has created a picture that truly pops; like its lead character, the film is on a constant high. 3. Gravity – In a film that is overflowing with state of the art special effects, it’s surprising that Gravity never loses the humanity that is central to any truly great story. The plight of two astronauts who become stranded in space is told with great realism from a director who is clearly at the top of his game. Recent special effects extravaganzas have stumbled when it comes to story and character development (*cough* Avatar *cough*), but Gravity excels in this area because it tells a simple, straightforward story with characters that we can relate to. Because we care about these characters, the sequences of destruction give the film an almost unbearable sense of tension. Aided by a beautiful score from Steven Price, Gravity is a bold and immersive picture that will leave you slack jawed, gaping at the screen. It’s not just a massive leap forward for the sci-fi genre; it’s a massive leap forward for the art of film itself. 2. Blue is the Warmest Color – A film that chronicles the joys, troubles and poignancy of a relationship, Blue is the Warmest Color is a love story that feels honest and true. Chronicling an intimate relationship between two young women, this French film is one of the most realistic love stories that I have ever seen. The story isn’t entirely original, but it feels truthful in its simplicity. As the film ended, I felt as if I had experienced a large chunk of someone’s life with them, and leaving them after having cared for so long was emotionally devastating. The three hour runtime may seem daunting to some viewers, but it truly absorbs you into the lives of these characters. Also aiding the film are the two incredible performances from Adèle Exarchopoulos and Léa Seydoux. Exarchopoulos is astounding as Adèle, giving the character a sense of emotional vulnerability that feels relatable and real and Seydoux is immensely charming as Emma. These two actresses have an undeniable chemistry between them and this allows the audience to truly care about the relationship that develops throughout the film. While it’s far from enjoyable entertainment, this is a film that anyone who has experienced love and loss should seek out. Like any relationship, it is something that will stick with you, in your thoughts and in your heart, long after it has ended. 1. 12 Years a Slave – Every year during Oscar season, there is always one film that emerges as the awards season frontrunner. This year’s frontrunner (and hopefully, winner) is also the best film of 2013. Steve McQueen’s 12 Years a Slave is horrifying in its realistic portrayal of slavery, breathtaking in the sheer amount of care and cinematic prowess that went into its production, and ultimately uplifting in its message that, no matter how bad things may get, there is always something worth living for. McQueen’s use of long takes in the film is expertly used, forcing the audience to face the horrors of slavery without shying away. The entire cast gives solid performances, but Chiwetel Ejiofor and Michael Fassbender are the clear standouts. As Solomon Northup, a free man who was sold into slavery, Ejiofor delivers a performance of shocking emotional gravitas, effectively causing the audience to feel the pain that his character had to endure and Fassbender is absolutely chilling as Edwin Epps, an evil plantation owner who cannot be reasoned with. These performances add to a film that excels in every aspect. Slavery was a dark time in America’s history and 12 Years a Slave places its audience into a 19th century nightmare. There will never be any way to truly comprehend how awful slavery was, but this film comes as close as any film possibly could. Not only is 12 Years a Slave the best film of the year, but it’s also the greatest film ever made about slavery in the American South. 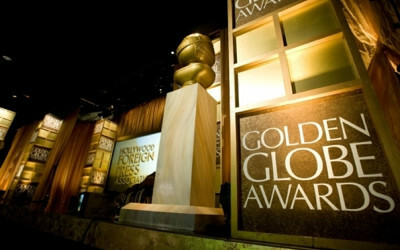 The 71st Golden Globe awards are held this Sunday, so it is only appropriate that I post some hopes and predictions. Here I will tell you who I predict will win, who I think should win and who was snubbed from a nomination. While I hope that these predictions will be accurate, keep in mind that anything can happen on awards night. Steve McQueen’s brutal treatment of slavery in the American South still remains the award season frontrunner. It’s a shame that the Hollywood Foreign Press Association overlooked Prisoners, a gripping film that was one of the best thrillers in years. Voters are likely to be wooed by the performances and energetic direction in American Hustle, but the film lacks the bite that makes The Wolf of Wall Street the deserving winner. It’s unfortunate that The World’s End and Before Midnight couldn’t secure a nomination here, but this is a very competitive category. Alfonso Cuarón created a technical marvel with Gravity, but Steve McQueen deserves just as much praise for 12 Years a Slave’s emotional intensity. The biggest snubs in this category include Martin Scorsese for managing to make The Wolf of Wall Street’s three hour runtime move at a breezy pace and Spike Jonze for turning a man’s affection with his computer into one of the best films of the year with Her. Cate Blanchett’s powerhouse performance in Blue Jasmine is one of the greatest of the year, matched only by Adèle Exarchopoulos’ emotional discovery in Blue is the Warmest Color. Her absence in this category is upsetting. Bruce Dern could sneak in and win this one, but DiCaprio has been a longtime favorite of the HFPA. Amy Adams and Meryl Streep appear to be the only real contenders in this category, but it would be delightful if Greta Gerwig was able to pull off an upset. I’m predicting that Lupita Nyong’o will follow the success of 12 Years a Slave to a win, but I hope that voters will award Jennifer Lawrence for her fantastic scene chewing in American Hustle. This is another very competitive category, but it’s a shame that two of the most emotional performances of the year (Octavia Spencer in Fruitvale Station and Lea Seydoux in Blue is the Warmest Color) are nowhere to be found. Jared Leto has been receiving much praise for his role in Dallas Buyers Club, but Michael Fassbender’s portrayal of a truly evil plantation owner is a much more impressive performance. American Hustle’s snappy dialogue will appeal to voters, but the characters in Her feel more realistic and the film’s message is more profound. It was a weak year for animation and Frozen is the clear frontrunner. Even though it was far from Pixar’s best film, Monster’s University definitely deserved a nomination here. Strap in and don’t let go. 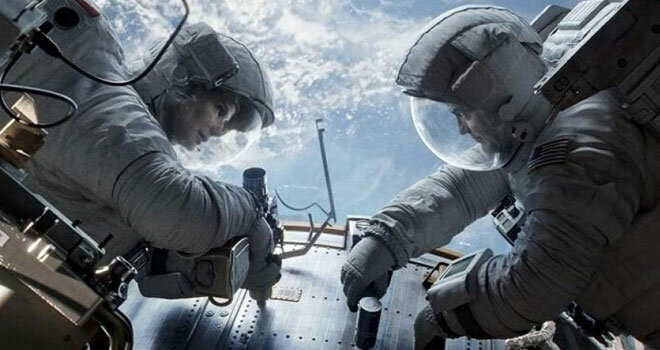 Gravity is a thrill ride unlike any other from revolutionary director Alfonso Cuarón. With breathtaking visuals and an almost unbearable amount of tension throughout its lean 90 minute runtime, Gravity is a film that demands to be seen on the largest possible screen. Don’t miss your opportunity to see this landmark, cinematic event. Sandra Bullock and George Clooney star as Ryan Stone and Matt Kowalski, two astronauts serving on the space shuttle, Explorer. Stone is a researcher who is adjusting to her first expedition in space, while Kowalski is a veteran astronaut on his final mission. While running a routine spacewalk, they are hit with debris from a Russian satellite, destroying their space shuttle and their communication with Houston. Stuck out in space with no one but each other, they must rely on their courage and their will to live if they hope to ever make it back to earth. The majority of Gravity was made using digital effects and they look fantastic. Poor visuals could have easily ruined the entire film, but the visuals work seamlessly with the actors to create an environment that feels incredibly realistic. For an hour and a half, I no longer felt as if I was sitting in a theater, I felt as if I had been transported to a place above the stratosphere. Great visual effects don’t always add up to an engrossing film (*cough* Avatar *cough*), but luckily Alfonso Cuarón, working from a script that he wrote with his son Jonas Cuarón, has created some of the most dizzying and breathtaking action sequences in years. Even though the film is created mostly through visual effects, Cuarón chooses to simulate long takes instead of rapid editing and frantic camerawork. The first fifteen minutes of the film are a beautiful and astounding long take that culminates in a brutal sequence of destruction. From here, the intensity only continues to increase as the film progresses. The characters of Stone and Kowalski are essentially the only characters in the entire film and their character development occurs very smoothly. Viewers will find themselves invested in these two individuals and our investment in them only adds to the stomach-turning intensity. When things start to go badly, you will actually feel the fear that these characters are experiencing. Performances also help in this regard, with George Clooney being as charming and suave as ever. But it is Sandra Bullock’s performance as the inexperienced researcher that truly resonates. She never overdoes it and her sadness and desperation to survive truly resonates. If you have ever wondered what it feels like to be in space, Gravity might just be the closest you ever come to actually experiencing it. Aided by a beautiful score from Steven Price and fantastic sound design which proves that silence can sometimes be more effective than constant loud noises, viewers will feel as if they have been dropped directly into the chaos enfolding before them. It is a bold and beautiful picture that will leave you slack jawed, gaping at the screen. This is not just a massive leap forward for the sci-fi genre; it is a massive leap forward for the art of film itself.